In the early 1800s, when vast areas of Australia were turned over to grazing cattle, a hardy breed of dog was needed to herd the animals over long distances. In 1840, a man called Thomas Hall crossbred Blue Merle Highland Collies with tame native Australian DIngos to produce the first Australian Cattle Dog, originally called Hall's Heelers. They had the stamina and resilience to cover a vast range through dense and rough terrain. 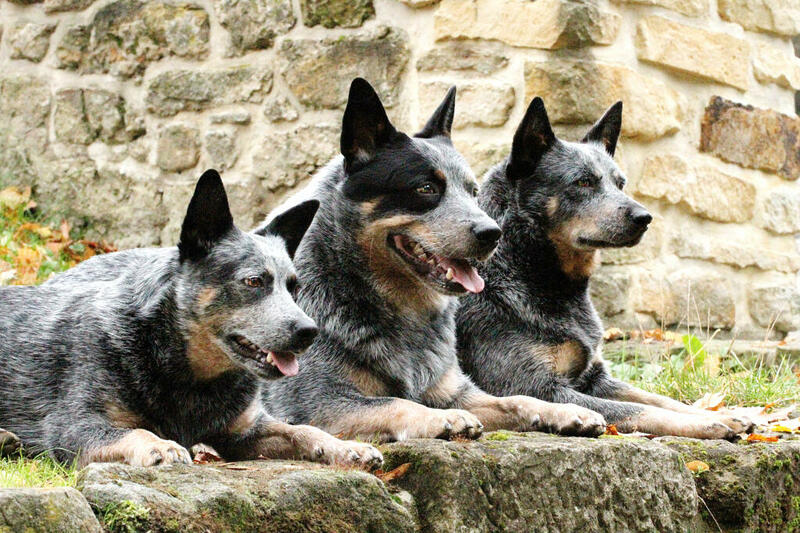 They used their mouths to herd the cattle, nipping them to steer them in the right direction - hence the 'heeler' tag. 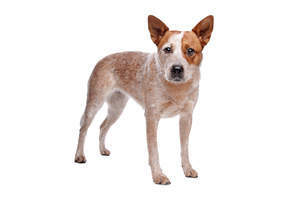 Other nicknames included Red Heeler and Blue Heeler, a reference to the breed's coat coloring. 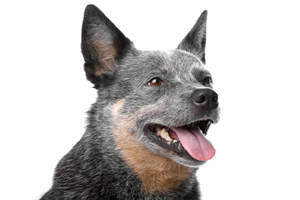 After further crossbreeding with Bull terriers, Dalmations and Black and Tan Kelpies, the Australian Heeler was transformed into two varieties - the Australian Stumpy Tail Cattle Dog, and the Australian Cattle Dog breed as we know it today. These new names were adopted in the late 1890s. The Australian Cattle Dog - or ACD, for short - is a very intelligent breed, and one of the easiest to train. They were bred as tireless working dogs, and still need that mental and physical stimulation if they are to stay happy. They can follow commands perfectly, and will also use their brains to work things out and achieve a goal. 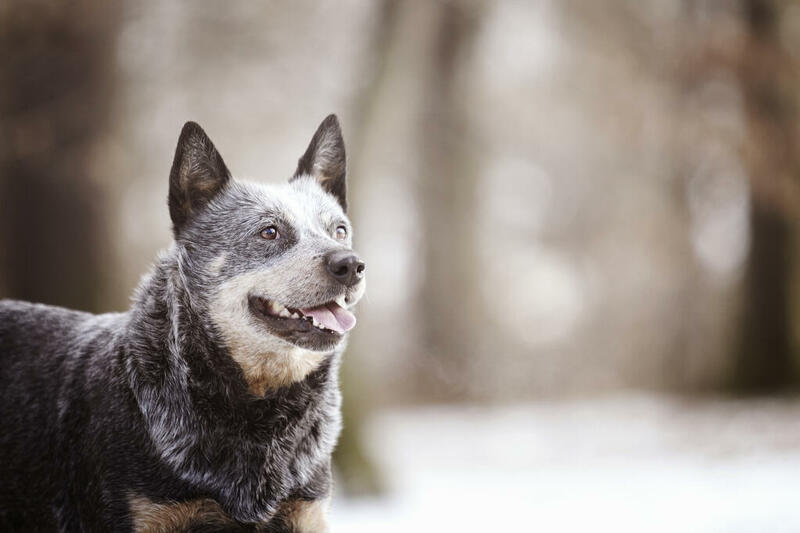 Once trained, the ACD makes a perfect companion and is extremely loyal. 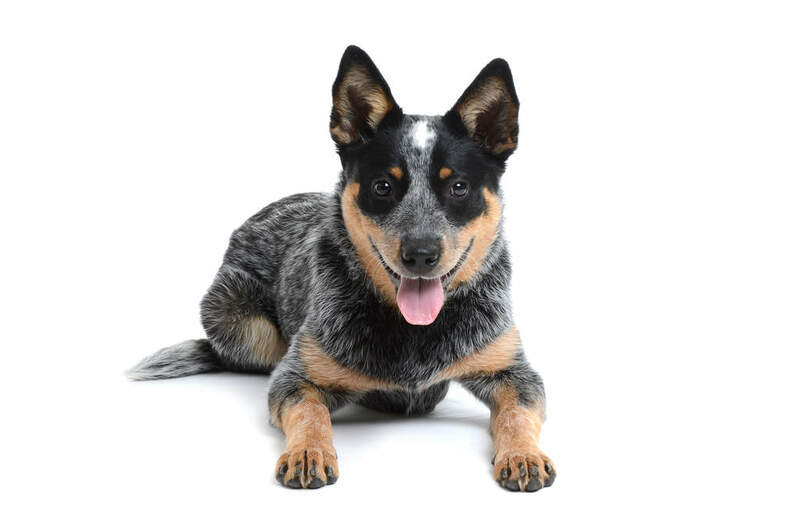 ACDs tend to nip at small children, so early socialization and training is important to stamp out this undesirable behavior. The dogs need something to occupy them, so flyball, agility competitions, etc, will keep them happy and focused and stop them getting bored. They become stressed and destructive if they don't have enough to do - so, as you can guess, you need lots of time to keep them trained, busy, and happy. They are usually good with older children and pets, if introduced early on, but tend to be wary of strangers, initially. 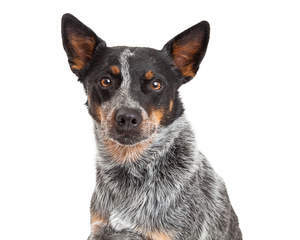 ACDs make great watch dogs, and are very protective of their family and home. Their tireless energy makes them excellent running/jogging partners, and this is great for them too, as they need lots of daily exercise. They don't like being left alone for long periods. The ideal situation would be for the owner to have an outside job, where they can spend all day with you outdoors. 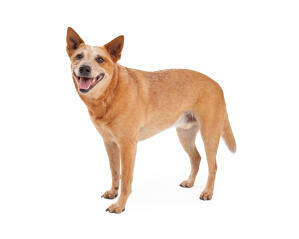 They enjoy the company of their main human companion, and will repay you in endless loyalty and devotion. Any form of mental stimulation is good for the breed. 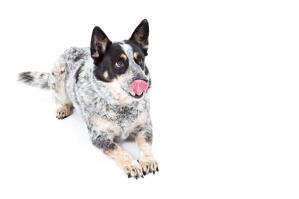 They love learning, so any new tricks you can teach them will be enthusiastically taken up. 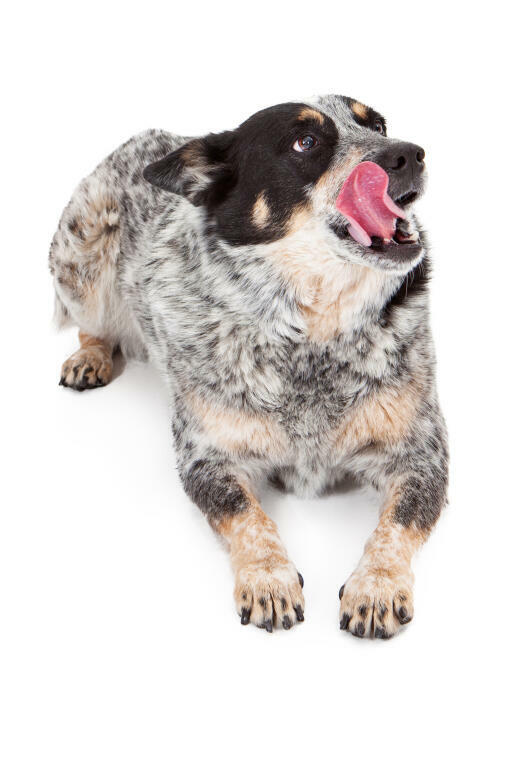 ACDs can be stubborn - another symptom of intelligence - but on the whole they want to please their owners. They tend to fixate on one particular person, viewing them as pack leader. ACDs shed quite a lot of hair, and require daily brushing to prevent this hair covering you and your furniture. 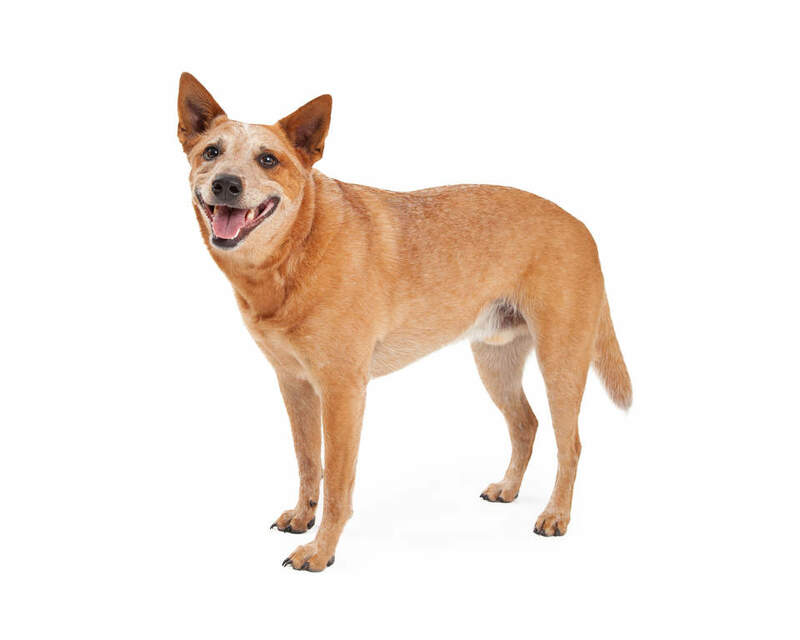 On the whole they tend to remain healthy, but canine hip dysplasia, deafness and eye problems are rather common in this breed too. Australian Cattle Dogs are intelligent, hardy, and independent minded. Bred to work all day in hot conditions these dogs have incredible stamina and need plenty of exercise and stimulation to keep them happy. 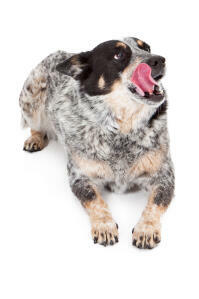 They tend to avoid other dogs so they really benefit from socialization from an early age. 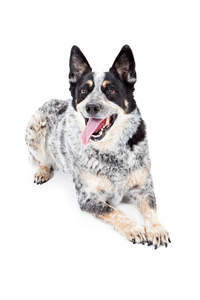 ACDs love to play and can be good with children, although they can get into the annoying habit of nipping them - and the heels of other family members - in an attempt to herd them. It is very important that this nipping is discouraged, so strict training is necessary. Australian Cattle Dogs are prone to canine hip dysplasia (CHD), progressive renal atrophy (PRA, a degeneration of the retina that leads to blindness), deafness, and elbow dysplasia.